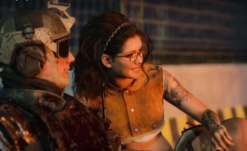 With Tokyo Game Show 2018 in full swing, we’ve seen a cornucopia of fresh news about some of our most anticipated titles including Death Stranding and Capcom’s Resident Evil 2 Remake. 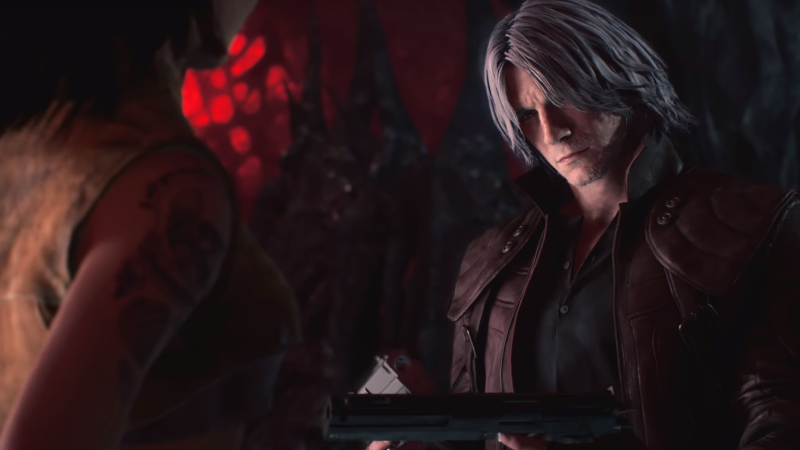 However some troubling news recently surfaced regarding Devil May Cry V, specifically that Capcom would allow players to buy Red Orbs using in-game microtransactions. 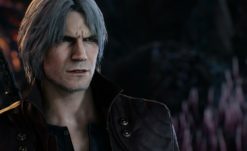 As reported by Playstation Lifestyle, Devil May Cry V director Hideaki Itsuno defended the practice. For non-Devil May Cry fans, Red Orbs are a staple of the series. A form of currency scavenged from fallen enemies, it’s always been used to buy items and additional moves to use in combat. While technically the series has never seen this kind of micro transaction in a game’s launch, microtransactions to buy Red Orbs were eventually implemented in Devil May Cry 4: Special Edition‘s release on the Xbox One and Playstation 4, almost a decade after the game’s initial release. The Devil May Cry series has always been a bit of a grind due to its “unique” shop system, where buying one item will raise the cost of all others. This extends to combat moves as well. This made grinding for 100% completion a bit of a hassle in previous games, but it was a grind alleviated by loads of extra difficulty modes and additional content like the Bloody Palace. Allowing players to simply buy the needed orbs at any given time is one way to alleviate this grind, but it brings up a plethora of other issues. The first issue with this is that, for a series that already has a grind for skills and items, will the grind in Devil May Cry V be worsened to make the microtransactions seem more appealing? I hope not, but there’s no way of knowing until the game releases. The second problem is that we’ve seen sinister microtransactions pop up in seemingly innocuous places before under the same guise of “offering player choice.” While I’m sure Itsuno’s answer was delicately worded by Capcom PR, the idea that paying an additional premium on top of a $60 game is a viable method of player expression is laughable at best. “Player choice” was the excuse laid out by both Middle Earth: Shadow of War and Star Wars Battlefront II, both of which have since revised their in-game purchases after copious amounts of negative feedback. Middle Earth removed micro transactions altogether, while Battlefront II managed to draw the attention of the United States government before EA revised their Star Wars-themed swindle. 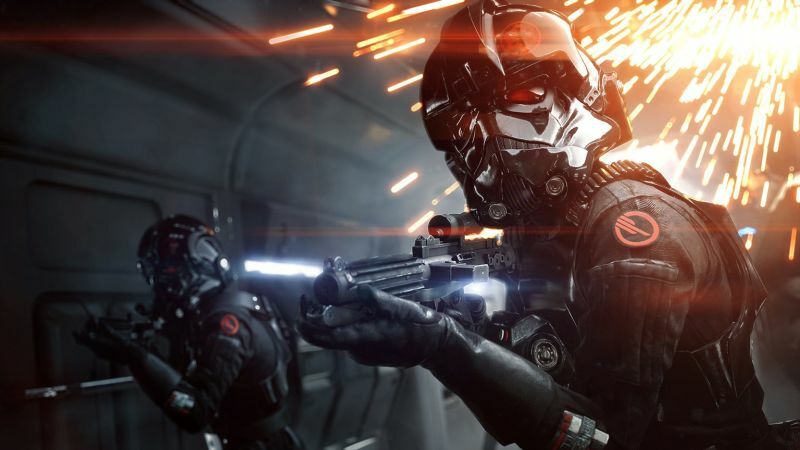 In a post-Battlefront II world, player choice is no longer an acceptable excuse for putting microtransactions into games. The Devil May Cry series has always focused on a robust single player experience that rewarded time and effort. If Capcom is worried that some players might not be able to handle the game’s hardest challenges, that’s what lower difficulty modes are for. If Capcom is worried that players might not be able to see all the moves and combos the game has to offer in a reasonably timely manner, then that’s a failing on the part of the game’s balance. These are the only two excuses I can think someone might resort to in order to defend Capcom’s decision here. Neither hold any water, and neither are excuses to ask for more money in a $60 single player title. Stay tuned to Rely On Horror for all your Devil May Cry V news. Devil May Cry V releases March 8, 2018 for Playstation 4, Xbox One, and PC platforms.